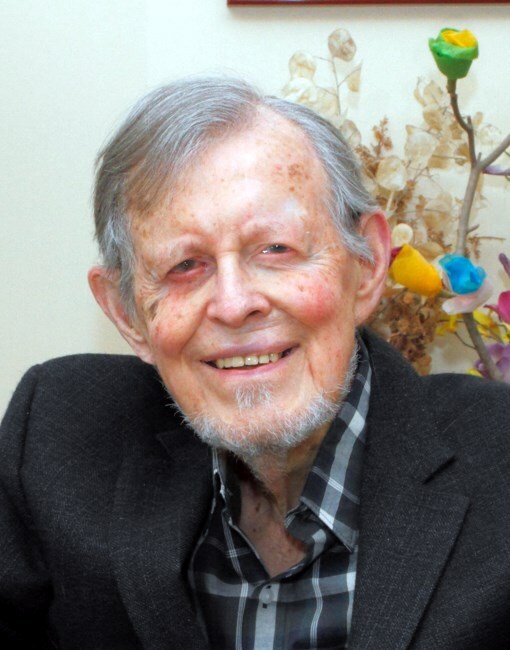 A couple weeks ago, historian of the Canadian Christian left Richard Allen passed away at the age of 90. This piece is not meant to be an obituary, nor a reflection of the deep impact he had upon Hamilton, which he represented as an Ontario NDP Member of Provincial Parliament during much of the 1980s and 1990s. Those matters are covered better in other places. Rather, I want to reflect on Allen’s scholarly influence, as well as our brief—but meaningful—personal interactions. Allen was raised in a Christian family, being the son of a United Church minister, and this no doubt influenced his academic interests, which took him to Duke University where he completed his doctoral studies. Out of this came his first major work, and one which still inspires scholars of Canadian socialism and Christianity to this day: The Social Passion: Religion and Social Reform in Canada, 1914-28. Published in 1971, it served as a defining work for how scholars understood the figures, events, motivations, ideologies, and theologies which shaped the social gospel movement in Canada. While of an age that many might deem ‘dated,’ this book was deeply influential on my own understanding of the Christian left in this country, which existed in rudimentary form given my interest in key CCF figures like J.S. Woodsworth and Tommy Douglas, but wasn’t developed in a meaningful way until graduate school. In Allen’s writing, I saw figures and movements that—however imperfectly—melded the ideas of secular social justice with a conviction that Christ was sent to earth not only to teach us about the afterlife, but about how to build a New Jerusalem in the here and now. If one accepted the proposition that prophetic religion required a reconstruction of the social order, it was of fundamental importance that one understand the structure of the existing order, where power and interest reside, what forces and movements are currently in play, and the direction of economic and social change. It was not enough to take up good causes in a spirit of goodwill in a generalized hope of belief that the good would triumph. But beyond all this—which must be explored in greater detail at another time—Allen’s influence on me was also personal. While still a graduate student, and at Van Die’s suggestion, I reached out to him to discuss my emerging research and the influence his work had upon mine. But more than just a polite response, the long-retired Allen demonstrated a genuine interest in my work and career path. Over the following years we would share research notes with one another, I would read drafts of his upcoming works, he would nominate my work for prizes, and he would always inquire about my professional development. While we only met a couple times in person, I got a real sense that he cared about—and acknowledged the work of—a young scholar in a world where that is perhaps rarer than it should be. Putting aside my self-indulgence, I think it must be said that Allen never really stopped the work of a historian. Indeed, it was only weeks before his passing that his final book was released; a project which synergized Allen’s personal experiences, classic contributions, and new thoughts. It serves as a fitting final contribution. In correspondence with myself and others like former NDP MP Bill Blaikie, Allen had noted an intention to publish a memoir of his political career, including service in the Bob Rae NDP cabinet in the 1990s, and his pioneering social justice efforts, including the championing of LGBTQ rights at a time when such a stance was in no way mainstream. That we won’t get that memoir is a sad reality, but there is solace in the fact that future scholars who examine Allen’s impacts can look both at his scholarly and political efforts to draw a picture of the man and his worldview. It may well be the case that Allen will be a historian worthy of his own biographer at some point in the not-too-distant future. Ultimately, I think the best way to close here is for a general appeal to continue applying Allen’s work and worldview going forward. Certainly, we here at Active History should see him as believer in the public role historians must play beyond the academy. Much more research on the Christian left is needed, not only during the times covered by Allen himself, but especially on the years since. There are numerous topics that need attention, and Allen’s contributions here will have at least an indirect value on any emerging research. Indeed, it could be said that the lessons of Allen’s research on the Christian left in Canada could apply in some fashion to the political and ideological expression of progressives from other religious traditions whose place within Canadian society is much greater now than when Allen began his career. So here’s to a path-breaking historian, a pioneering politician, and a kind man. Richard Allen, “Religion and Political Transformation in English Canada: The 1880s to the 1930s,” in Marguerite Van Die, ed., From Heaven Down to Earth: A Century of Chancellor’s Lectures at Queen’s Theological College (Kingston: Queen’s Theological College, 1992), 127–144. Thanks for sharing this. His book, The Social Passion, was inspirational for me, not only as a scholar, but as someone with a personal interest in the nexus between faith and social justice. About a decade ago, I interviewed Prof. Allen for my own research on the Christian left in a later period. Subsequently, I encountered him at the annual meetings of Congress, and it was always a pleasure to talk with him. And when you write that “much more research on the Christian left is needed, not only during the times covered by Allen himself, but especially on the years since,” I’m reminded that I need to get on with the revisions on my own manuscript!